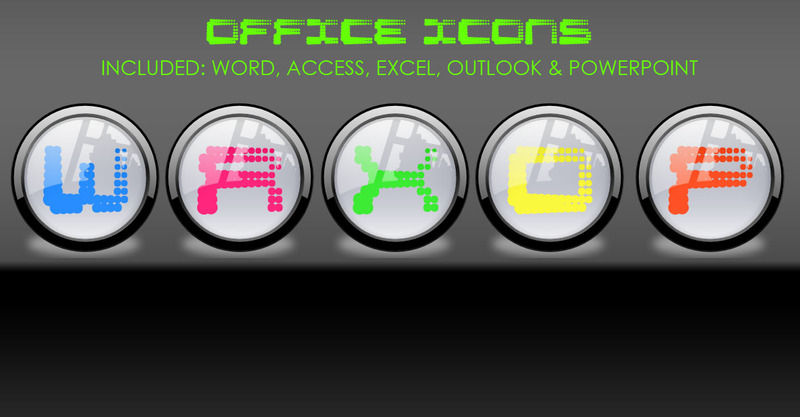 Office icons for word, powerpoint, access, excel and outlook. Those came out really nice. I'm glad you were able to make use of the clear version. You may want to consider adding a FrontPage and Access button if you have the time to complete the set. There is access. the font I used kinda makes it look a bit like an R rather than an A.
I've used the clear glass overlay on alot of my icons but as I just edited ones I'd downloaded I can't really re-upload them as I've forgot who made them and don't want to be classed as ripping off others.